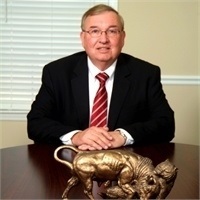 Doug Quilling has worked in the financial services industry for 17 years, a registered representative with Harbor Financial Services, LLC since 2006. He grew up in West Central Wisconsin and holds a B.S. degree from the University of Wisconsin-Eau Claire. He is life, health, and variable annuity licensed through the state of Florida as well as Series 7 licensed through FINRA. Doug recently earned the designation as a Chartered Federal Employee Benefits Consultant. He gained invaluable experience in the preceding 22 years as a PGA professional owning his own golf shop as well as country club manager and golf course superintendent. Assisting others striving to realize their financial and retirement goals keeps him motivated and humble. Doug has been married to his wife Connie for the past 37 years, residing in Panama City Beach, FL, for the past 24 years. They are the proud parents of Jack and Katie. Doug still enjoys spending time on the links, gardening, undertaking handyman projects, and enjoying nature.